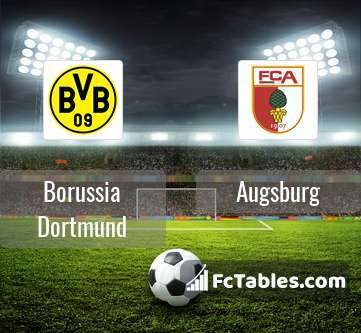 Match Borussia Dortmund-Augsburg 1. 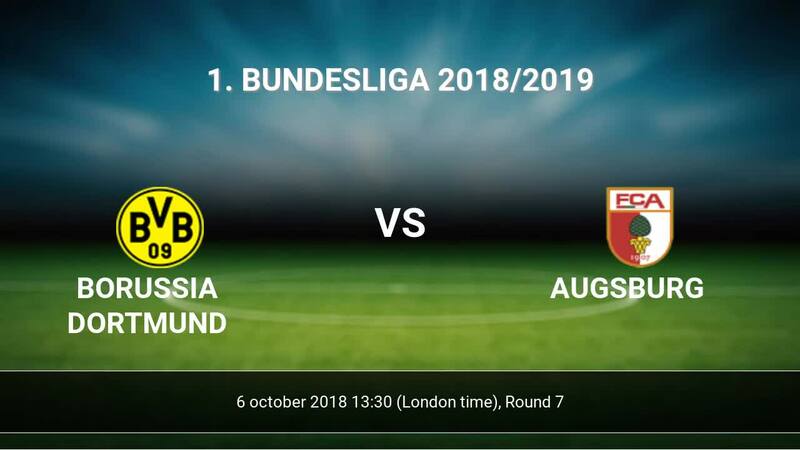 Bundesliga the fixture is set to kick-off today 13:30 on Signal Iduna Park. Refereee Markus Schmidt. Team Borussia Dortmund is at the top place in the table (1 place). Last 5 games (league + cup) finished balance 11 points. The most goals in 1. Bundesliga for Borussia Dortmund scored: Marco Reus 4 goals, Francisco Alcacer 3 goals, Jacob Bruun Larsen 2 goals. Most goals developed: Marco Reus 2 assists, Jacob Bruun Larsen 1 assists. In Borussia Dortmund not occur in the match due to injury: Christian Pulisic, Shinji Kagawa, Marcel Schmelzer, Omer Toprak. Team Augsburg is located in the middle of the table. (8 place). In 5 last matches (league + cup) team gain 5 points. From 2 matches away can't win a match. Not lost the match from 2 games. In this season games 1. Bundesliga the most goals scored players: Alfred Finnbogason 3 goals, Andre Hahn 1 goals, Caiuby 1 goals. They will have to be well guarded by defense Borussia Dortmund. Most assists in the club have: , Andre Hahn 2 assists, Caiuby 1 assists. Injured players Augsburg: Julian Schieber, Dong-Won Ji, Kilian Jakob. Direct matches: Borussia Dortmund won more direct matches. 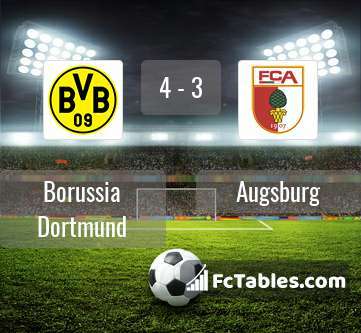 Borussia Dortmund won 9 matches , Augsburg won 1 direct matches, was a 5 draws. In 9 matches the sum of the goals both teams was greater than 2.5 (Over 2.5), and 13 matches teams scored more than 1.5 goals (Over 1.5). In 10 matches the both teams scored a least one goal (Both teams to score).